Oklahoma City’s City Council agreed to invest $45 million in the vacant First National Center at Tuesday’s meeting. Journal Record senior reporter Sarah Terry-Cobo speaks with KGOU's Jacob McCleland. Developers Gary Brooks and Charlie Nicholas purchased the building in January for $23 million. They plan to redevelop it as a mixed-use residential and commercial property, according to the Journal Record’s Brian Brus. In February 2016, the council approved an ordinance to amend the Downtown/MAPS Economic Development in anticipation of the project. It created a tax increment district to produce additional ad valorem and sales tax revenue. On Tuesday, council members agreed that $40 million of the money will come from that district’s ad valorem increment budget and $5 million will come from the sales tax increment budget. City Council members agreed that the time frame for incurring the project costs in the form of development financing assistance will be over 10 years, incrementally through bond issuance. Brus writes that selective demolition began in February, and construction is expected to begin in early 2018. Journal Record senior reporter Sarah Terry-Cobo toured the First National Center with Gary Brooks a few weeks ago. She told KGOU that Brooks wants the redeveloped building, which was built in 1931, to receive LEED certification. “In order to do that he's got to recycle a bunch of stuff. So that means this very tedious, meticulous separating out all of these materials. You can even recycle sheet rock,” Terry-Cobo said. Terry-Cobo says the building has many quirks, including old floor-to-ceiling filing cabinets and art deco features, such as a metal scroll of a water fountain on the first floor and scrolling around the buttons in the elevator. Jacob McCleland: This is the Business Intelligence Report, a weekly conversation about business news in Oklahoma. I'm Jacob McCleland. I'm joined by Journal Record senior reporter, Sara Terry-Cobo. Sarah thanks for joining us. Terry-Cobo: Thanks for having me Jacob. McCleland: Well Sarah the Oklahoma City Council agreed to a $45 million public investment in the vacant First National Center. This is a one million square foot building that was purchased by Gary Brooks and Charlie Nicholas in January for $23 million. Why did the developers need the public investment here? Terry-Cobo: Well so in part it's because those buildings are expensive to redevelop and it's hard to turn a profit so the argument is if you can incentivize the construction those properties won't sit vacant and for buildings like the First National Center and even the Skirvin Hotel, those properties have asbestos in them, or in the Skirvin's case, had asbestos. So they get federal EPA money to clean up the asbestos correctly and limit the developers' liability. McCleland: Now you've been in this building recently. What's it what's it like right now? Terry-Cobo: Well it's been a few weeks but it was really interesting. I got, Gary took me up through a couple of floors and we got to see the construction work from a group called First Step. And basically it's a sober-living facility for folks who are trying to get, you know, control on their lives. And so it's really hard manual labor. And so basically they're taking down wiring and sheet rock and wires and you know kind of metal sheeting everywhere. And they. Gary wants to get a LEED certified and so in order to do that he's got to recycle a bunch of stuff. So that means this very tedious, meticulous separating out all of these materials. You can even recycle sheet rock. I didn't know that you could recycle sheet rock so they're doing all that sort of stuff. It's really hard manual labor and really interesting, things kind of leftover from previous tenants. They had to kind of disassemble giant filing cabinets, you know, to the ceiling filing cabinets. It's really interesting work to kind of see the guts of a building basically. McCleland: I'm sure and I'm sure there are plenty of quirks in a place like that that did that. How old is that building? Terry-Cobo: Oh gosh. I believe it was built in the 30s so it's getting up on you know 80 ish years so it's really interesting kind of art deco features everywhere and just like the little details you know kind of like the scrolls the metal scroll over the water fountain on the first floor. And yeah you know kind of the buttons and the scrolling around the buttons on the elevators that sort of stuff I think is really really fascinating. McCleland: Well I'm sure a lot of people are excited about getting getting a look at the building once it's been once it's been renovated. Let's talk about another story from your paper this week. This one is on occupational licensing. As I understand it. Labor Commissioner Melissa McLawhorn-Houston wants to make licensing more efficient for lawmakers and business owners. She released some plans on Monday to guide lawmakers who want to create new licenses as well as a plan to create an interactive database for business owners. Governor Fallin tasked her to do this. Why are the governor and labor commissioner examining licensing right now. Terry-Cobo: Well so it's hard for the legislature to gauge whether the licensure is really needed. Most people assume a license is the best way to regulate a business. But Commissioner McLawhorn-Houston says it's the most stringent. The rubric that she created would allow the legislature to create a more tailored regulation for, kind of, you know, each new profession. She also wants to build a database that puts all the licenses in one place because there isn't one now. For example to get you know figure out whether there's a license for a particular profession, you have to look on four different Web sites which just is incredibly cumbersome. McCleland: So obviously you need a license to practice medicine in Oklahoma. But there are some professions that require a license that the labor commissioner is saying perhaps a license isn't really necessary, right? Terry-Cobo: Absolutely so some things like human resources professionals for example. People in that industry argue that the trade group, the Society for Human Resource Management or SHERM provides a strict enough certification that a separate state license isn't really necessary. McCleland: Sarah Terry-Cobo is a senior reporter at The Journal Record. Sarah thanks so much. Terry-Cobo: Thanks for having me. McCleland: KGOU and the Journal Record collaborate each week on the Business Intelligence Report. A big thanks this week to Tulsa musician Midday Static for providing our new theme music. You can find a link to Midday Static on our website, kgou.org. Both KGOU and the Journal Record are on social media. You can follow us on Facebook and Twitter, @JournalRecord and @kgounews. 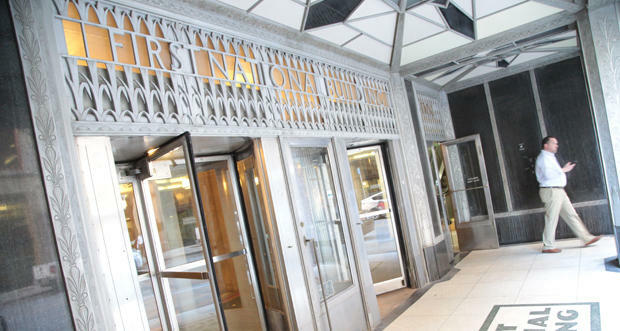 Possible New TIF For First National Center; Historic Tax Credit Ending? On Tuesday, the Oklahoma City Council discussed making changes to the tax increment finance district, or TIF, for the area affected by MAPS projects. The council wants to increase the budget for the downtown MAPS district – adding $40 million to bring the total to $165 million. “The says that the investment so far has already brought in $1.8 billion in private money, and adding the $40 million would bring in another $1 billion,” said The Journal Record’s managing editor Adam Brooks. The renovation of downtown Oklahoma City's First National Center is expected to be long and expensive. 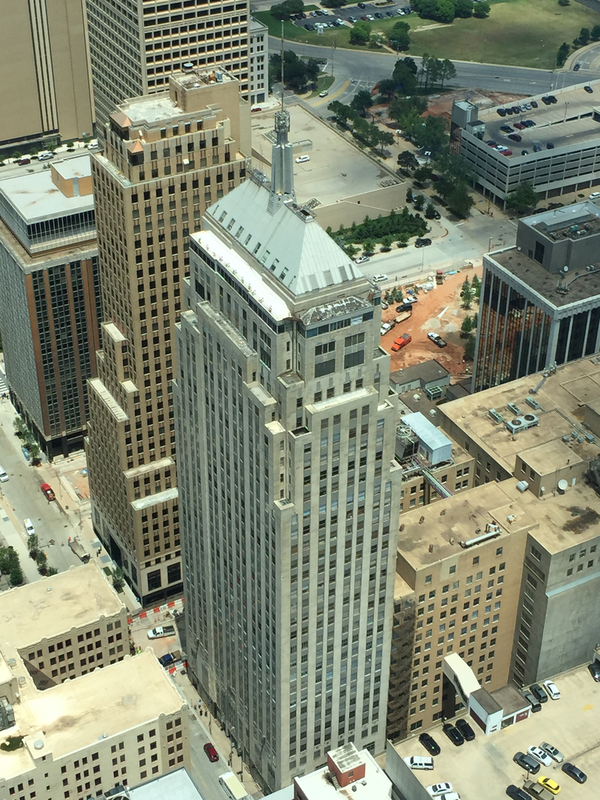 Oklahoma City-based developer Gary Brooks and Texas contractor and developer Charlie Nicholas are leading a team that signed a contract on Monday to buy the one-million-square-foot building for $23 million. It's September in Oklahoma, which is a pretty lousy time to shut off the air conditioner. That's exactly what happened at the First National Center in downtown Oklahoma City this week. The 84-year-old skyscraper in downtown Oklahoma has been for sale for well over a year, and last week employees and tenants that work in the building started moving their belongings out. 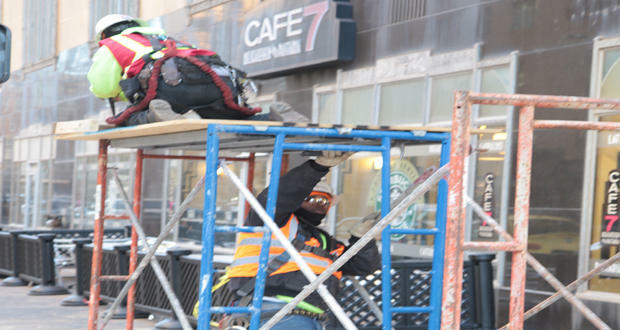 On Tuesday, the building's utility company shut off A/C, which affected retail businesses and restaurants on the building's first floor. 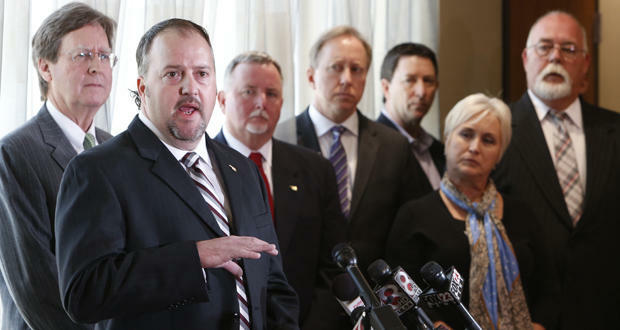 A Tulsa tax package will be up for renewal by voters this fall, but with a new twist. Vision2025, a Tulsa County tax plan similar to Oklahoma City’s MAPS project, is a 0.6 percent sales tax passed in 2003. Since then, it has raised over $600 million for various community projects. But this year, cities affected by the tax plan have the chance to opt out, says Journal Record managing editor Adam Brooks. The fate of one of Oklahoma City's most historic skyscrapers could soon be determined. 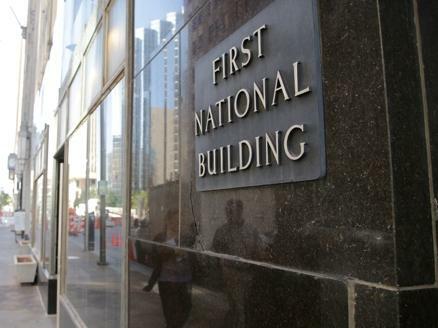 A California developer told The Oklahoman he'll close later this summer on the purchase of the First National Center in downtown. Stephen Goodman of the Pleastanton, California-based Goodman and Associates plans to start a $140 million redevelopment project next year that will turn the 1931 art deco building into a combination of offices, retail, restaurants, luxury housing, and a four-star hotel.